Leading up to the Culinary Olympics, Chef Karin will travel overseas to compete in several international competitions, including the Food Asia competition in Singapore in April 2018 and the World Chefs’ Congress in Kuala Lumpur. 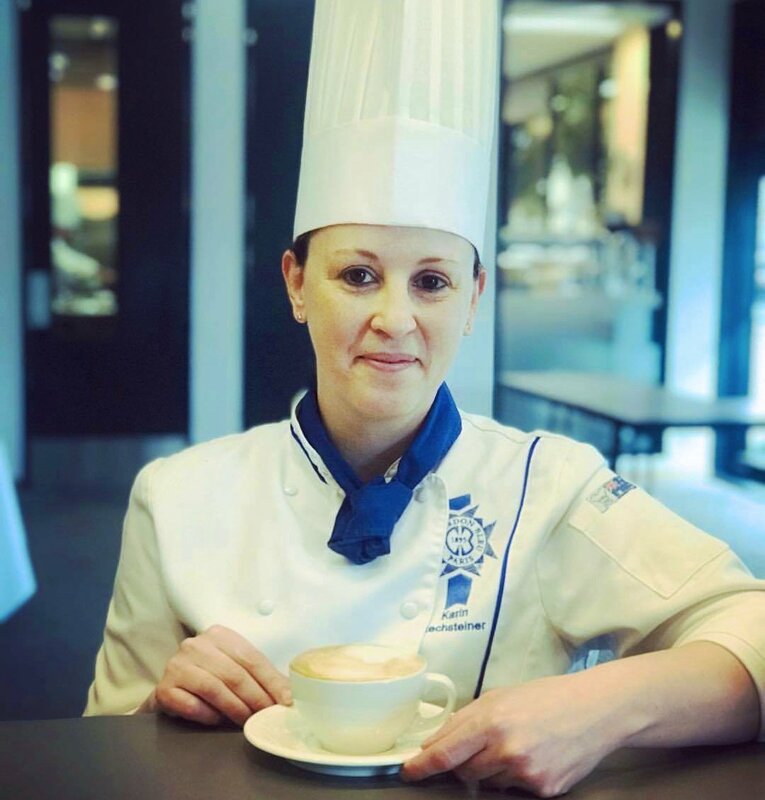 Originally from Zurich (Switzerland), Chef Karin has worked at Le Cordon Bleu Melbourne since its opening in July 2015. Karin now joins the ranks of fellow award winning Le Cordon Bleu Culinary Olympic participants. Mr. Derrick Casey, Le Cordon Bleu Australia Chief Executive Officer (CEO) was Captain of the 1984 Australian team that came second in the world in the prestigious Restaurant of Nations competition, winning a number of gold and silver medals in other categories. Matt McBain, Le Cordon Bleu Melbourne Pâtisserie Lecturer competed in the 2004 Culinary Olympics as Team captain of the Australian National Pastry Team winning one gold medal & third place overall. The Australian Culinary Olympic team is selected by the Australian Culinary Federation – the national body for practising chefs – which is a member of the World Chefs’ Association based in Paris. Le Cordon Bleu wishes Chef Karin and the Australian Team every success in the competition.